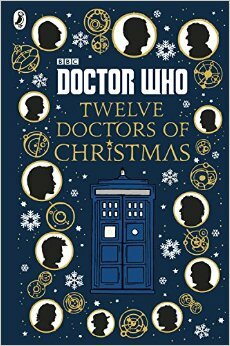 Ghost of Christmas Past (Twelve Doctors of Christmas). Books It was inevitable that an anthology in the style of the old Big Finish Short Trips books particularly their annual Christmas number would include an Eighth Doctor story to make up the numbers and like The Scientific Secrets of Doctor Who this is set in the Time War. Night of the Doctor having given BBC Books and their authors something official to fix their eye on which doesn't involve dodging the decade or so's worth of licensed material else to point of blandness. In this the Doctor finds himself trapped in the final second before Christmas Day 2016 in temporal orbit around the Earth and isn't quite sure why. Stop reading here if you haven't run your eyes across the story yet because it's worth a brief discussion and I don't want to spoil things for you. Having said all of that about the licensing, writer Scott Handcock, perhaps emboldened by Eighth's regeneration speech has written a poignant epilogue to Big Finish's With Lucie adventures and particularly Relative Dimensions, the story in with the Doctor spends Christmas with Lucie, Susan and her son Alex, who in what's becoming increasingly the case in terms of how continuity has recently been treated across the franchise, is named as such here. Anyone who hasn't kept up with those stories will probably just treat her old hypercube's message as new information, but the rest of us will recognise it for the emotional gut punch it must be for the Time Lord remembering Alex's fate. Handcock has written for Eighth and Charley before and in a Christmas Short Trips book, one of the massively expensive ones, and for Big Finish in general which would account for his fidelity with the material, but it's such a welcome change to have even a short piece of fiction in a BBC Book about Eighth which is deepened if the reader is aware of another corner of the franchise. Oh and I choose to assume that I was right about the companion's rooms; that the Doctor thought he'd deleted them in Relative Dimensions but the TARDIS later revealed that she'd kept them saved anyway, rather like Lorelei Gilmore putting Rory's Dean box in the closet knowing that they'd be needed again later. Placement: The descriptions of the Time War are similar to Natural Regression from The Scientific Secrets of Doctor Who so it seems right to put them together. My Favourite Film of 1916. Film As I discussed this time last year, the film documentary, Visions of Light, introduced me to a great deal of classic film and more particularly its cinematography. Hidden amongst one of the key montage sequences underscored by Saint-Saens Aquarium from The Carnival of Animals is the shot from Griffith's Intolerance in which a 100 foot camera crane swoops through the massive sets with their massive statues and thousands of extras. A hundred years later, even with modern special effects technology, few shots in any film quite have this grandeur and thanks immeasurably to the verisimilitude of the ancient camera, the sense of watching history unfolding on a grand scale. When I'd see the film a few years later it was on a tiny screen when I was going through a phase of thinking that the best venue for "old" films was on the old CRT 14" Sanyo portable on our back balcony. But even in that context, and despite realising it's not a perfect film by any means, the whole of the Babylon section of the film lost none of it's allure even if the ropey, unrestored dvd copy with its plonky Mickey Mousing electronic piano music which ScreenSelect had sent did draw away from the experience somewhat. Aquarium still feels like the perfect accompaniment with its mysterious, searching themes and drooping scales. But these films were designed to be seen on massive screens in huge auditoriums, the IMAX experience of their day, and for anyone outside London, seeing a work like this in that context is an impossibility for perfectly sound commercial reasons. Despite the slight uptick in interest in silent film, there probably isn't the market for a revival of Intolerance with its three hours of piety and dislocated structure. I'm amazed even Metropolis managed to be something of a success a few years ago, but at least that exists in the context of being an antecedent to a great number of later films and so has an in-built curiosity value. Nevertheless imagine my surprise, a few years ago, to see this sequence on a massive screen anyway because Martin Scorsese included it in his film Hugo which I saw in screen one of Picturehouse at FACT almost exactly five years ago. As I described in the ensuing review, throughout the film I found myself removing the glasses and enjoying the visuals without, especially during the sequences when the director cut in pieces of film history, suggestions for Georges Méliès's legacy. In one moment we see the very same swooping Babylon sequence, and Scorsese doesn't retrofit the shot in 3D, realising that it requires no tampering for it to envelope the vision of the audience. Finally seeing it at this scale even for a few brief seconds was breathtaking. As I said then, "it’s not until you can see every figure on that ambitious set that you can fully understand the grandeur of what Griffith was trying to accomplish." You are indeed transported and in a way which isn't necessarily the case even with 3D films, thanks to the distancing aspect of the technology as it is now. However beautiful Hugo's visuals are, it's entirely possible that it was the shots from Intolerance I was thinking about most as I left the cinema that day and even as I wrote that review. Not that any of this excuses Birth of a Nation. Soup Safari #76: Curried Carrot at the Cellarium Café and Terrace. Lunch. £6.00. Cellarium Café and Terrace, Westminster Abbey, 20 Dean’s Yard, Westminster, London SW1P 3PA. Phone: 020 7222 0516. Website. Audio Utterly superb. One of those Short Trips whose scope belays its duration, this epic yet intimate story just goes to demonstrate how there was much more to be said about the Eighth Doctor and Charley in the early days and that they more than deserve to have some more stories recorded by a full cast set in that era, and like the Mary Shelley trilogy as part of the monthly release schedule. The TARDIS travels back in time so that the companion can meet one of her heroes, a Victorian explorer and author of a famous diary, only to find he isn't there (as per the title). A tale about self-fulfilling prophesies, there's a moment in the middle which is simply jaw dropping in how it embraces that era presenting a conversation which was always implicit but never enunciated, until now, Ian Atkins perfectly evoking the atmosphere of that period. His expository prose is often spectacular too, capturing the fundamentals of a character and their environment in just a few words. India Fisher is now entirely in the groove of reading these talking books, with the younger Charley resurrected and dimensional. Placement: Between the 1st and 2nd season I suppose.